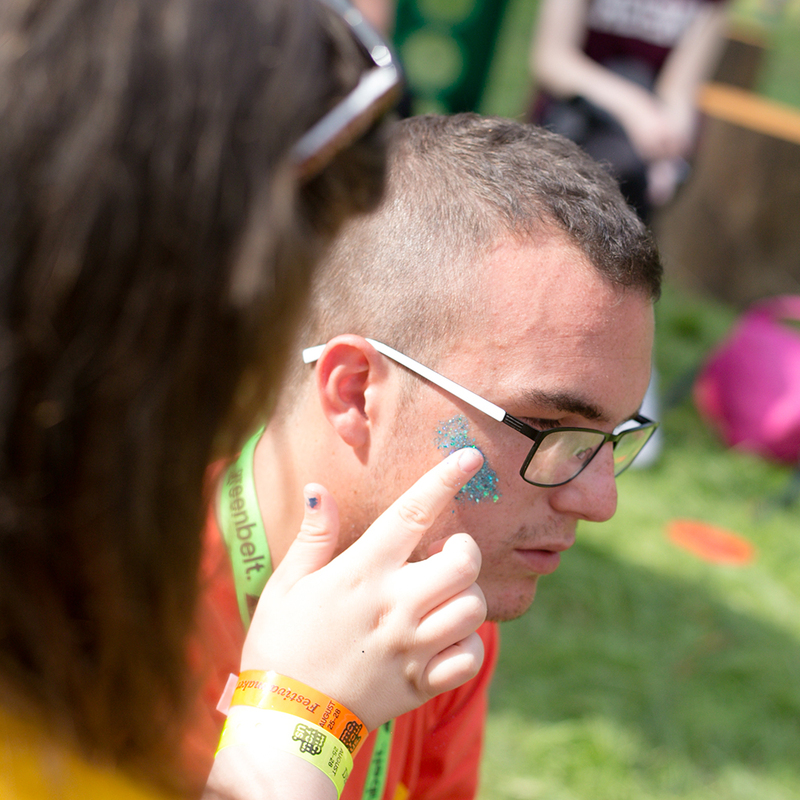 The team are here to add a touch of eco-friendly sparkle to Greenbelt, offering a full range of colourful festival glitter designs to festival goers. Previous glitter makeup experience isn’t essential, but a love of all things sparkly is a must. All training will be provided. You will need to be friendly, outgoing and love to chat with other festival goers. Please note the Sparkle Squad tent is very popular and therefore can get very busy at times.